Happy Star Wars Day, you filthy animals. We’ve been waiting for someone to make a big announcement today, and it seems like this is the one. 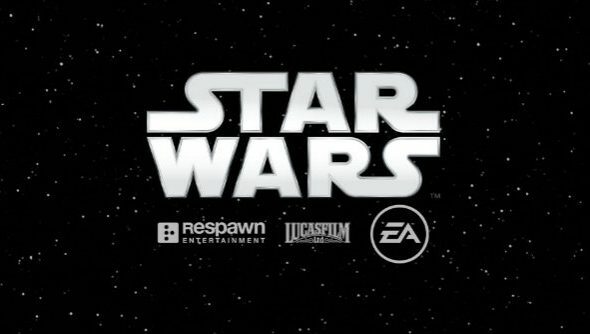 Titanfall developers Respawn Entertainment are partnering with EA and Lucasfilm to make a game set in the Star Wars universe. For now, have a blast through our list of the best space games. It’s still early days, so there aren’t many details in the announcement – they’re just letting us know that it’s happening. Oh, and it’ll be a third-person adventure game. In the announcement, the developer speaks about how excited the team at Respawn are to create something in the Star Wars universe. “The entire company erupted in cheers when it was announced that this would be our next endeavor,” writes game director Stig Asmussen. “But it’s not all fun and games – we promise to pay respect to the Star Wars legacy at all times, a fact that will be constantly reinforced and honored as a central game design tenet. Fans should expect the exemplary level of quality first established at Respawn with Titanfall, a game that epitomises our studio’s dedication to slick, larger-than-life action and fun, groundbreaking mechanics. “Moving forward, we couldn’t ask for a better universe in which to continue this journey, and although I would love to share all of the exciting places we are going, we have the following piece of information to divulge with you all today: We’ll be making a third-person action/adventure game set in the Star Wars universe. The studio is currently hiring for a bunch of roles for the Star Wars game, while Titanfall 2 appears to be wrapping up, with just QA and server engineer positions advertised. Exciting stuff. What sort of thing would you like to see from a third-person Star Wars game? Will someone finally get lighsabers right? Give us all your thoughts in that little thought space down there.